Mathematization competency is considered in the field as the focus of modelling process. Considering the various definitions, the components of the mathematization competency are determined as identifying assumptions, identifying variables based on the assumptions and constructing mathematical model/s based on the relations among identified variables. 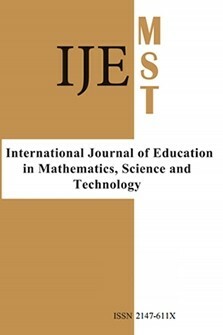 In this study, pre-service elementary mathematics teachers’ mathematization competencies are tried to be elicit by investigating their solution approaches while solving a modelling problem. It was seen the participants started to solve the problem by using only verbal explanations and then their expressions became more mathematical throughout the process. The participants, who made validations frequently in the process, displayed more comprehensive mathematization competencies by correcting their assumptions, mathematical models and solution.